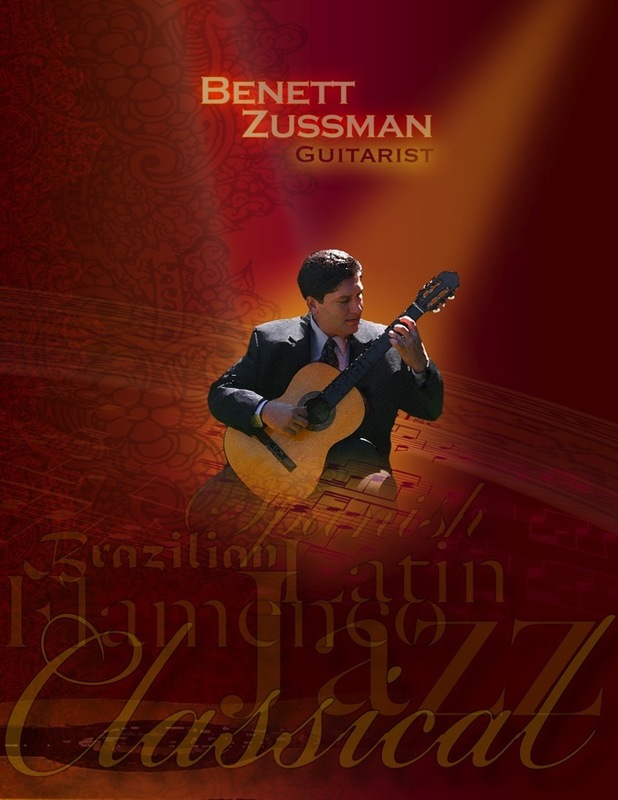 Bay area native and nationally acclaimed classical guitarist Benett Zussman has delighted audiences throughout California and Hawaii. He earned a Master degree in music from San Jose State University and a Bachelor of Arts under the tutelage of Cuban Maestro Jose Rey de la Torre. Benett has also studied with John Philip Dimick, Bahram Behroozi, Warren Nunes, Lawrence Ferrara and Marc Teicholz, a well as master classes with Ricardo Cobo, Martha Masters and Carlos Barbosa-Lima. He is a member and has been a featured soloist for the South Bay Guitar Society on many occasions as well as numerous universities throughout California. He has also performed at the Maria Benitez Flamenco Seminar in New Mexico. These days, Benett devotes his time to performing and teaching and happily shares his life with his lovely wife Diana and their furry companions Gibson and Fender.